Great Structure Scan Shot. 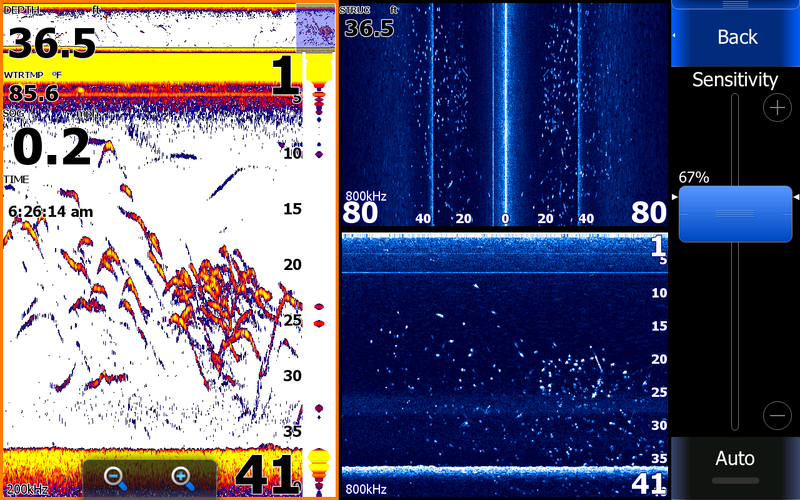 My sonar screen on the left shows something on the bottom, looks kinda like bait with a few fish mixed in with it. Looking at my down scan on the bottom right you can clearly see exactly what it is. This is an oak tree that was placed out in front of one of my clients dock in Contrary creek. Today shortly after picking my clients up I found a huge school of Stripers. I really did not want to put my clients on so many fish until they learned exactly how to put the baits down but how could I resist? We set up on them and banged them for about 45 minuets before loosing the school. What a way to start the morning off! 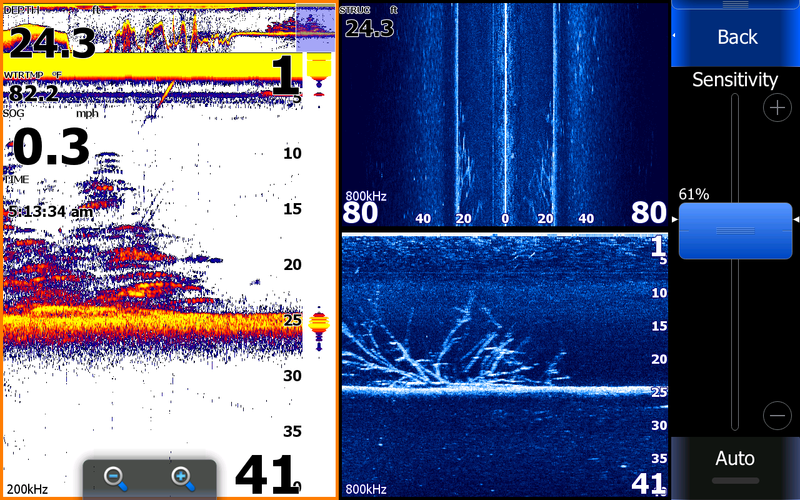 We fished several different areas before coming in this morning before it got too hot. Ben caught the pig of the day. Before SS and DS, that last screen shot would also include one of my nets on that tree.